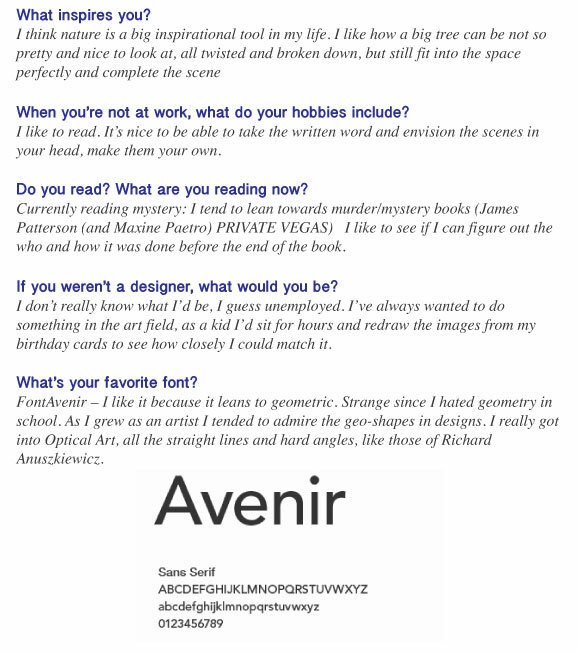 Get To Know Your Designers! Enjoy our articles? Get FREE email updates! 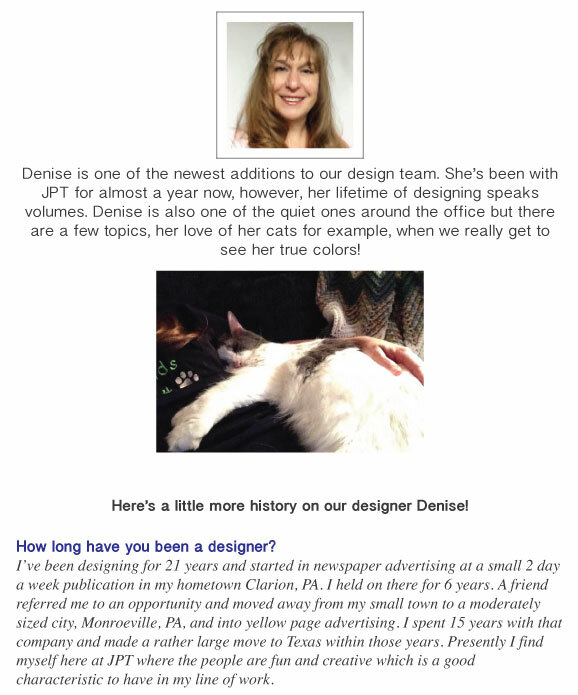 ← Get To Know Your Designers! I grew up in Dallas and was too busy starting my family to attend college except for the few art classes I took at community college (what was I thinking??). Everything I learned was on the job from about 20 yrs old on up! 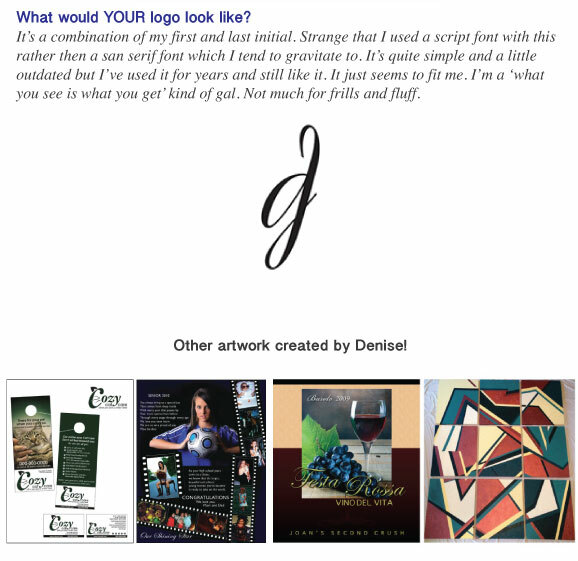 This entry was posted in Design, Get to Know JPT, JPT Team and tagged JPT Designers, jpt team. Bookmark the permalink.